2016: Made 25 appearances for Republic FC in all competitions, including 19 USL appearances ... 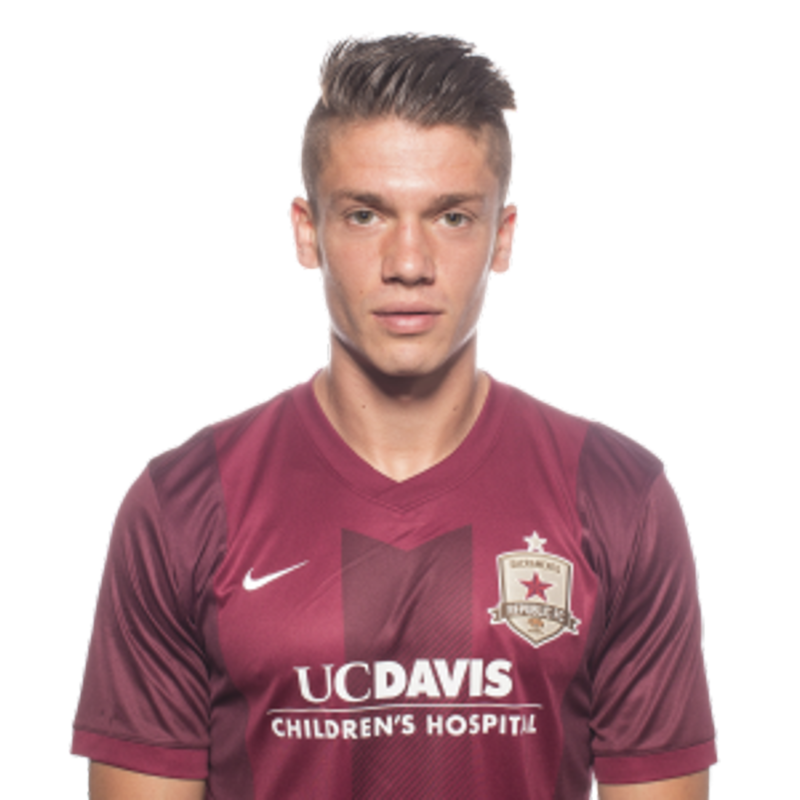 Scored four goals on the season, second-most on the club ... His four goals were the most by a Republic FC defender in a single season ... Was named to the USL Team of the Week for his performance in Week 15. 2015: Appeared in 25 matches for New York Red Bulls II in their inaugural season, starting 23 … Led Red Bulls II in minutes (2,003), matches started (23) and was second in matches played (25) … Appeared in both of Red Bulls II’s USL playoff matches … Was named to the USL Team of the Week for his performance in Week 13. 2014: Joined GD Chaves of the Segunda Divisão Portuguesa … Was loaned to Pedras Salgadas in the Terceira Divisão Portuguesa … Appeared in 23 matches for Pedras Salgadas. 2013: Signed his first professional contract with SC Espinho, a Terceira Divisão Portuguesa club … Appeared in 23 matches for SC Espinho. Parents are Debbie and Joe da Fonte … Has a brother, Steven and a sister, Lauren … Enjoys playing video games and watching The Office in his free time … Favorite non-soccer sport is basketball … Played with New York Red Bulls in a friendly match against Chelsea in 2015.